17. 02. 2019 13:35 19 (1 - Ogier Sébastien / Ingrassia Julien): I don't think I will get so much. The end of the stage is slushy - it will improve. Every year the same story for me on this very nice rally. 17. 02. 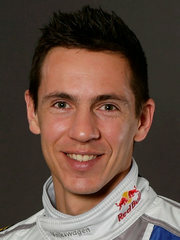 2019 13:28 18 (1 - Ogier Sébastien / Ingrassia Julien): I don't know, the chances are very small but if there is a chance I have to play it to the maximum. I saved my tyres as best I could. 17. 02. 2019 13:27 18 (1 - Ogier Sébastien / Ingrassia Julien): I was going to conserve my tyres here. 17. 02. 2019 13:17 17 (1 - Ogier Sébastien / Ingrassia Julien): Really good conditions, very enjoyable. The next one I'll cruise to try and save the tyres for the Power Stage. 17. 02. 2019 04:18 14 (1 - Ogier Sébastien / Ingrassia Julien): I went a bit wide after the jump and had to go a bit sideways. I went a bit on the bank, it was not very close. 17. 02. 2019 04:09 13 (1 - Ogier Sébastien / Ingrassia Julien): Still very tricky - for everybody I think. We have never been in this position before. We still try to work on the set-up. We're going to try some more things now. 17. 02. 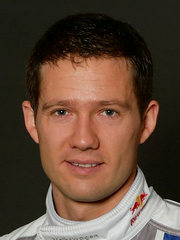 2019 03:59 12 (1 - Ogier Sébastien / Ingrassia Julien): Not being in the slush. That's it. 17. 02. 2019 03:58 12 (1 - Ogier Sébastien / Ingrassia Julien): Seb will start the stage after Neuville - ninth on the road. Why? Team boss Pierre Budar explains: "We have three targets for Seb today: first to do some more kilometres to improve the car setup and test, secondly we want to help Esapekka, and third is the manufacturers championship. We have selected the best position for him to start." 17. 02. 2019 03:46 11 (1 - Ogier Sébastien / Ingrassia Julien): The only thing we can do today is try and enjoy. This stage is just beautiful to drive. 17. 02. 2019 03:32 9 (1 - Ogier Sébastien / Ingrassia Julien): What can I do today? Not much, just get more mileage in the car. It's hard to find a real motivation. 15. 02. 2019 14:27 5 (1 - Ogier Sébastien / Ingrassia Julien): Not so much fun now, I just try to survive. Some gravel and slush on the road. I didn't want to take a risk here - it felt really uncomfortable. 15. 02. 2019 10:28 4 (1 - Ogier Sébastien / Ingrassia Julien): The start was good but the end of the stage was white with soft snow on the surface. Not a bad loop for me, no mistakes, but I think the toughest for me is coming on the second loop. 15. 02. 2019 10:03 3 (1 - Ogier Sébastien / Ingrassia Julien): This one a bit more difficult than the first. There was more fresh snow on the top and the grip was lower. The car is good, I had fun in the stage. 15. 02. 2019 09:48 2 (1 - Ogier Sébastien / Ingrassia Julien): It's warm, seven or eight degrees, and very slushy. The grip is okay but a bit inconsistent. Not easy. Not as bad as last year when I had 10cms of fresh snow.